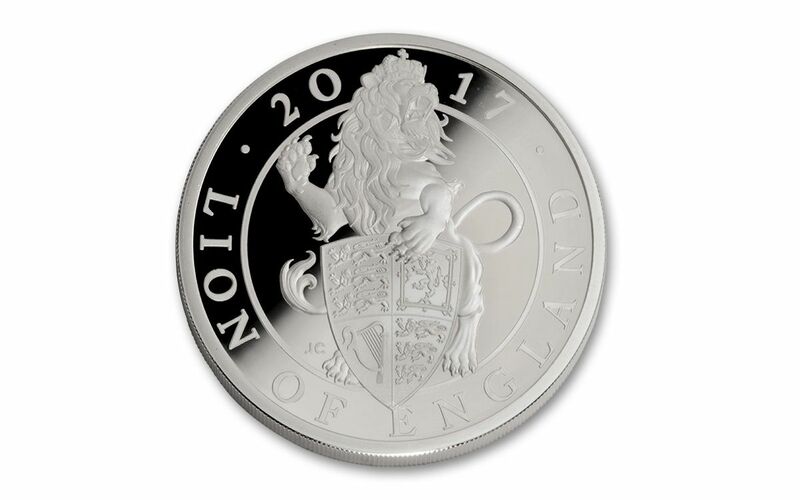 This Silver Lion Roars as the First of the Queen's Beasts! 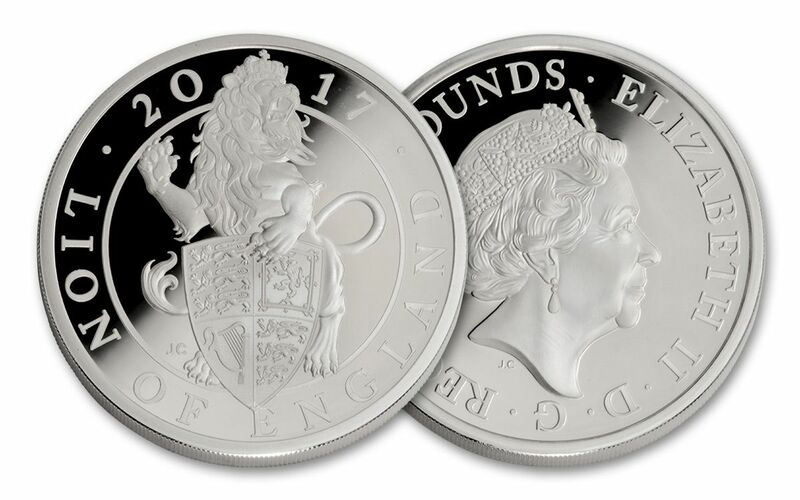 Stuck to celebrate Queen Elizabeth II and her continued dedication to Great Britain, this 2017 One-Ounce Silver Queen's Beast Proof dazzles the eye in 99.9% silver. 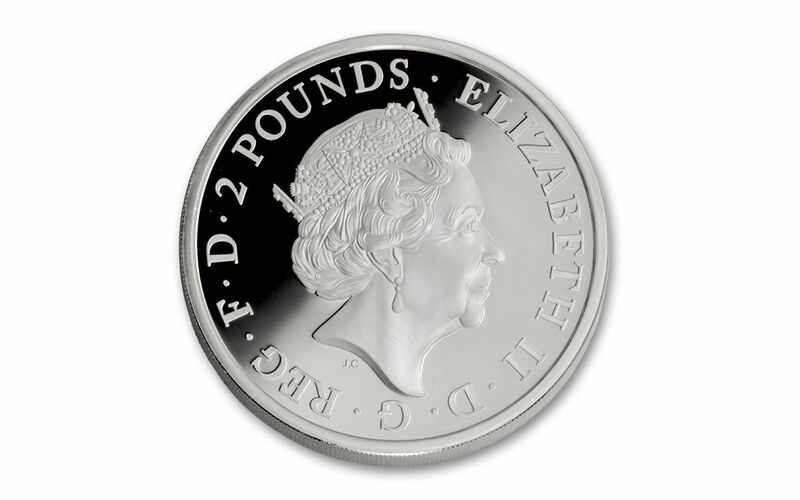 It has a legal tender value of £2 (two pounds) and is the first proof in a ten-coin series replicating the Beasts from a set of sculptures that were prepared for The Queen's coronation in 1953. The heraldic Lion stands tall in a fierce pose protecting the Royal Shield. The master engravers at the Royal Mint have captured designer Jody Clark's stunning work in every detail. It's magnificent! And it's the first in a series of ten coins displaying heraldic images from the Middle Ages that have been incorporated into the emblems of the British Monarchy over the last 1,000 years. Together, these beasts, both mythic and real, comprise a truly artistic coin collection sure to be popular among fans of the British Monarchy for years to come. Your proof comes in an official Royal Mint presentation box with a certificate of authenticity. Don't miss this chance to bring this premier proof to your collection. Secure yours before they're gone!